LeBron and Anthony Davis also had dinner together after a Lakers-Pelicans game just a few days after this now seemingly cryptic comment. If you think they just talked about how good the filet mignon was at that dinner then I have a bridge in Brooklyn I want to sell you. This story pretty much mirrors the culmination of the Heatles. Play together on the Olympic team, develop friendship, the only piece that’s missing is these two ending up in the same jersey. 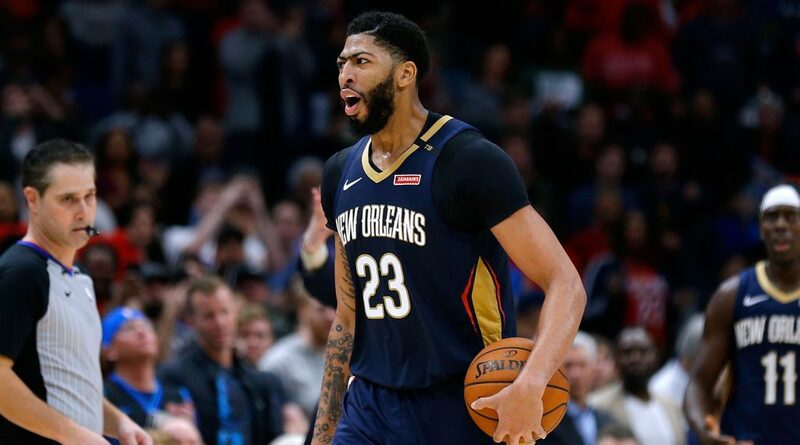 So with all this apparent scheming and plotting, how has Anthony Davis to this point, escaped the public demonizing that nearly every other marquee player who has decided to leave their original team faced? I’ll tell you how. He’s being a gentleman about it. He’s giving his proverbial two weeks notice instead of storming in the bosses office screaming “I QUIT!!!”. Anthony Davis is having a mature conversation with his girlfriend, explaining to her that it’s not working and he wants to go their separate ways but still remain friends instead of suddenly breaking things off and showing up in public the next day with the girl he told her not to worry about. Like seriously, these players need to stop insulting our intelligence. If you’re genuinely conflicted about where you will sign then cool. But if you know, let somebody know something. Don’t string people along. Now don’t get me wrong, these idiot fans issuing death threats, calling people names online and insulting these guys’ families are bonafide morons. That is never acceptable. But the long, drawn out theatrics that has engulfed superstar free agency in recent years is exhausting. I understand that you can’t make a formal announcement until a certain date but some of this can be tamed. The media is at fault as well. Reporters making wild claims without any real information. We all remember Chris Broussard and his multiple sources. Stephen A. Smith screaming guarantees about where players are going to sign. But at the end of the day if you know you are planning to leave, let it be known at the earliest point where it makes sense. That’s what Anthony Davis did and I’m sure the Pelicans appreciate him for it. Of course they would like to keep him but now, unless they can strike a deal in a week and a half, they have time to prepare for the storm instead of just waking up to a monsoon. Time will tell if LA is the final destination for Davis but right now it looks like a master plan is well on it’s way to coming to fruition.